Sport Australia’s Teacher Professional Learning Guidelines assists sporting organisations to develop high quality professional learning for teachers who deliver sport to students. The guidelines outline key considerations and step-by-step instructions that sports can use to develop new, or enhance existing teacher professional learning. What is teacher professional learning? Teacher professional learning includes any opportunity where a teacher can develop their knowledge, skills and abilities. Formal – training that providesteachers with industry certification, accreditation or qualification upon completion. Informal – training that does not provide teachers with formal recognition of the professional learning undertaken. Why develop teacher professional learning? Exposure - Schools are a great marketplace for students to gain exposure to your sport and to establish teacher advocates to spread awareness. Engagement – Increasing the engagement and knowledge teachers have of your sport increases the chances of it being taughtin schools. 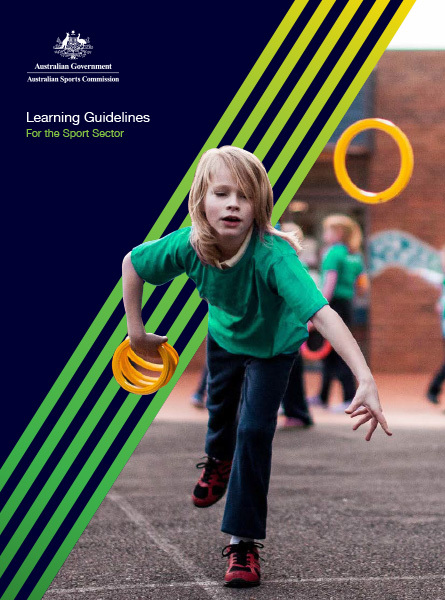 Quality – Supports consistent and high-quality delivery of your sport in school. Reputation – Builds the reputation of your sport within school and teacher networks. Enjoyment – High-quality delivery enhances student engagement and supports lifelong participation. Workforce – Increases your workforce for the delivery of your sport in schools. What are the characteristics of effective teacher professional learning? align to teachers’ needs and requirements. offer and promote networking across teachers, schools and experts. include examples of ways to be innovative, creative and adaptable. supports action so that learning is translated into practice. Participants – Understand teacher learning needs and behaviours including the type of learning they prefer. Conditions – Understand the unique conditions of the environment where your learning will take place to identify any barriers to participation. Structure – Understand teacher learning needs and behaviours including the type of learning they prefer. Accessibility – Apply flexible strategies to make your professional learning accessible to as many participants as possible. Aesthetics – Consider how the visual, auditory and physical aspects of your professional learning can be used to engage participants and enhance learning. Content – Determine the knowledge, skills, attributes, aspirations and behaviours you want to instil in your participants to ensure it meets their needs. Mode – Consider individual learning preferences to determine the most appropriate form of delivery for your professional learning. Tools – Consider what tools enhance knowledge transfer, engagement and understanding of content. They should encourage participation through activity, interaction, collaboration, application and review. Transference – Consider ways in which professional learning can support teachers to transfer their learning into practice. Adaption – Consider how the professional learning allows teachers to reflect and evaluate their learning and apply it in a variety of different contexts. When developing sport-related teacher professional learning, consider these specific tips from teachers. What do teachers want to learn about? How to get activities started quickly through effective grouping of students and providing concise instructions for each activity. How can you make it accessible to teachers? Include illustrations to explain activities and enhance learning outcomes. How can you get your teacher professional learning noticed? Schools are a great marketplace for sports to gain exposure and grow participation in young people, however, accessing the school market is competitive. A popular and effective way of introducing your sport to students is by utilising the skills and experience of Health and Physical Education (HPE) and classroom teachers to deliver positive, quality sport programs in their school. In order to get the best results, sports should invest time to developing quality professional learning resources for teachers. that meet their needs and priorities. These guidelines have been designed to inform your sport on how to develop quality professional learning programs for teachers. It includes a step-by-step process, and outlines key considerations to assist in developing new, or enhancing existing, teacher professional learning.